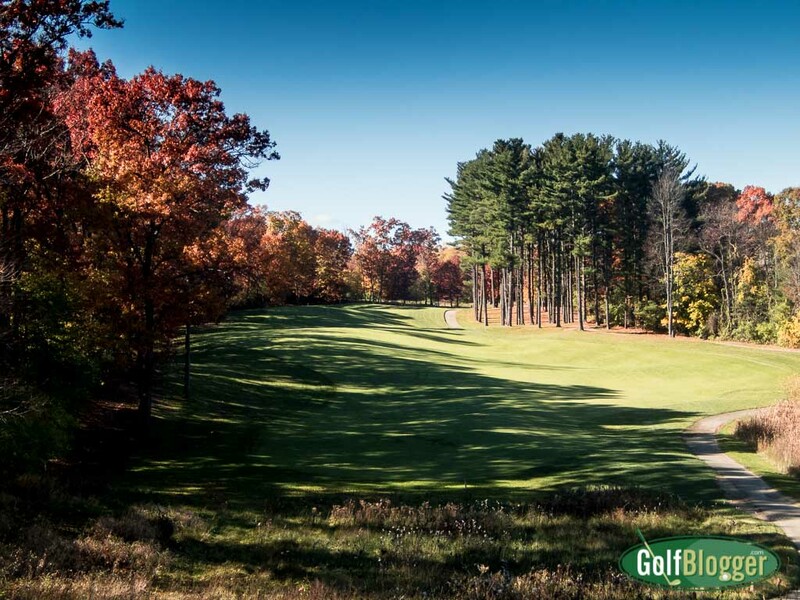 In search of some of Michigan’s spectacular fall color on the golf course, I headed to The Grande in Jackson, Michigan. The Grande is a beautiful and expansive course, with wide fairways cutting through woodlands and marsh. Elevation changes offer great views and add to the challenge. As I made my way around the course (nearly ten miles of walking! ), I wondered why it had been so long since I had been back to The Grande. There’s not a bad hole on the course. The tee arrangements are quite clever, varying angles as well as distance. On the eleventh, for example, the back tees have long carries over water to the narrow width of the fairway. The more forward ones, positioned well to the right, play at angles down the length of the fairway, with little or no marsh to carry. While the fairways are wide (I did not miss a single one), being in the right position on those fairways is critical to scoring well. Greens are large, but again — you need to be in the right spots. Conditions were top notch. The fairways were free of leaves — no mean feat this time of year on such a tree-lined course. Some aeration had recently been performed, but unlike other places I have recently played, there was no sign of the plugs. The one down side of The Grande is that it is relatively expensive compared to other area courses. Peak rates are as high as $59, and even at this late date, eighteen holes will set you back $30. The day before, I played a round for $10 at my local muni. grande-fall-040482 The Eighteenth at The Grande.